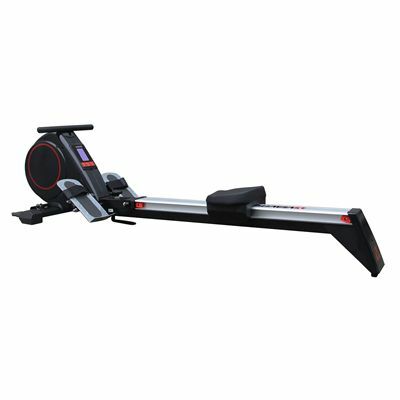 With a smooth, sleek appearance and high-quality build, the Viavito Rokai multi-function rowing machine not only looks great but delivers excellent performance to match. 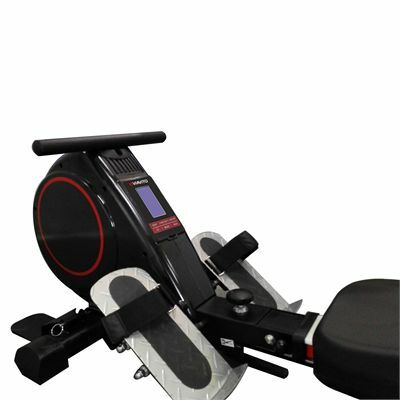 Benefiting from a 6kg (13.2lbs) flywheel and 16 challenging levels of near-silent, friction-free magnetic resistance this excellent rower delivers an effective, comfortable and enjoyable workout. The Rokai features 16 workout programmes including manual, user-defined, 12 preset, H.R.C, and a recovery test to keep you motivated and ensure that your workout sessions remain interesting. The preset programmes are scalable so you can stick with your favourite workout and remain challenged no matter how much your fitness levels improve helping to ensure that the Rokai remains an integral part of your fitness programme for years to come. 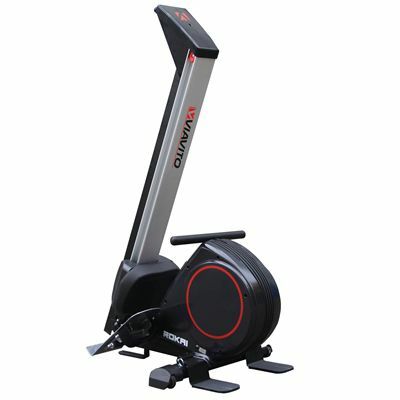 This great piece of kit also has the option of interval training and a race mode that lets you race against the computer to keep you entertained and drive you to push yourself harder, but it doesn’t end there. 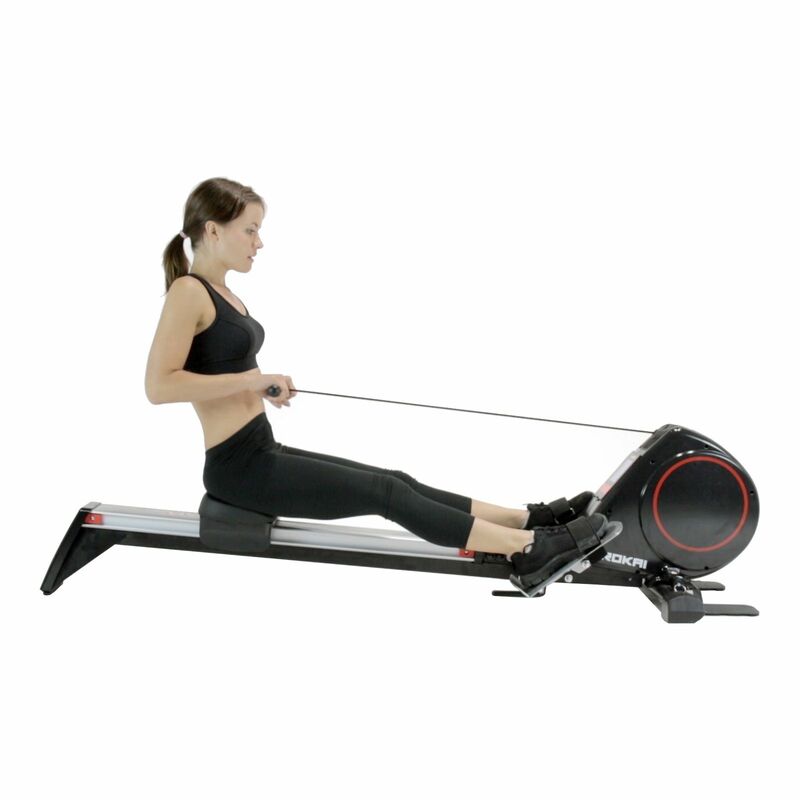 Due to its innovative design the Rokai also allows you to perform a wide range of exercises to specifically target Hamstrings, Glutes, Lower, Middle and Upper Back, Shoulders, Biceps, Triceps, Chest, Abs and Obliques making it a multiple workstation in one and comes with an inspirational exercise guide. 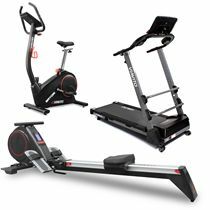 In addition, the large pivoting footplates and a biomechanically correct starting position ensure an efficient and effective workout while helping to reduce the chance of injury. The Rokai is easy to fold up and can be wheeled away to be conveniently stored between uses, making it a highly practical choice for all homes. 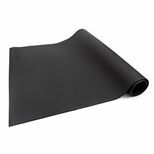 It's also covered by Viavito's 2 year parts and labour warranty for total peace of mind. 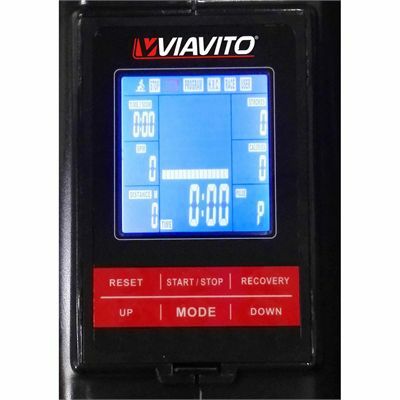 for submitting product information about Viavito Rokai Multi-Function Folding Rowing Machine We aim to answer all questions within 2-3 days. 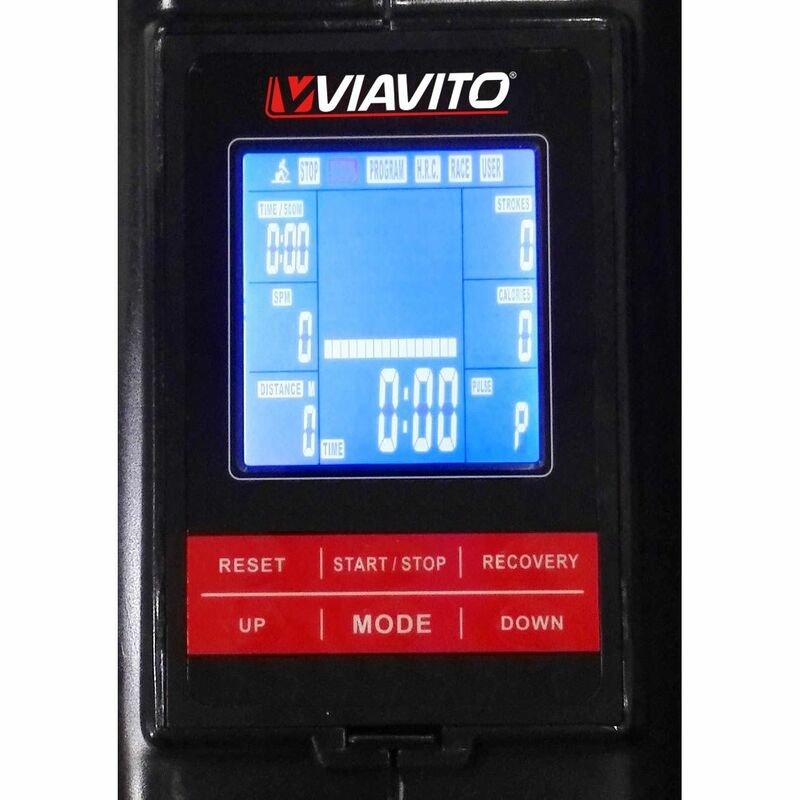 for submitting product information about Viavito Rokai Multi-Function Folding Rowing Machine. We aim to answer all questions within 2-3 days. If you provided your name and email address, we will email you as soon as the answer is published. I have an inside leg of 36", will I be able to use this machine properly. Hi, yes. 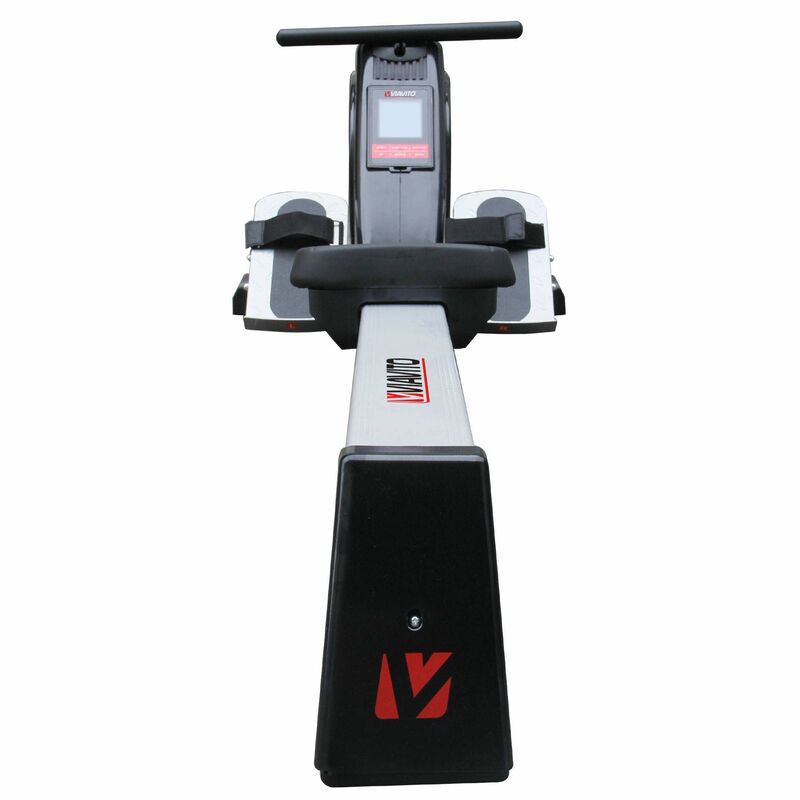 With a row length of 102cm (40.1"), the machine is perfectly suitable for you. How many programs are there and is there a heart rate control mode? Hi. Is there a race mode on this machine? Can I use a Bluetooth heart rate chest monitor with this rower? Is this machine suitable for a 13stone 6 footer? Having used Concept 2 rowing machines in the gym for many years, any machine would have alot to live up to. So I took a leap of faith, and I am very impressed! The machine copes well with my 175cm 105kg frame, with heaps of rail left for taller people. The rowing action is smooth, the seat is comfortable and I think the 16 levels of resistance will be plenty. I am surprised by how much I enjoy using it. I like being able to use the machine for other exercises as well. A plastic rail cover did arrive split but otherwise the product was well packaged and was together in about 40 minutes. After a week I can say I made the right choice. 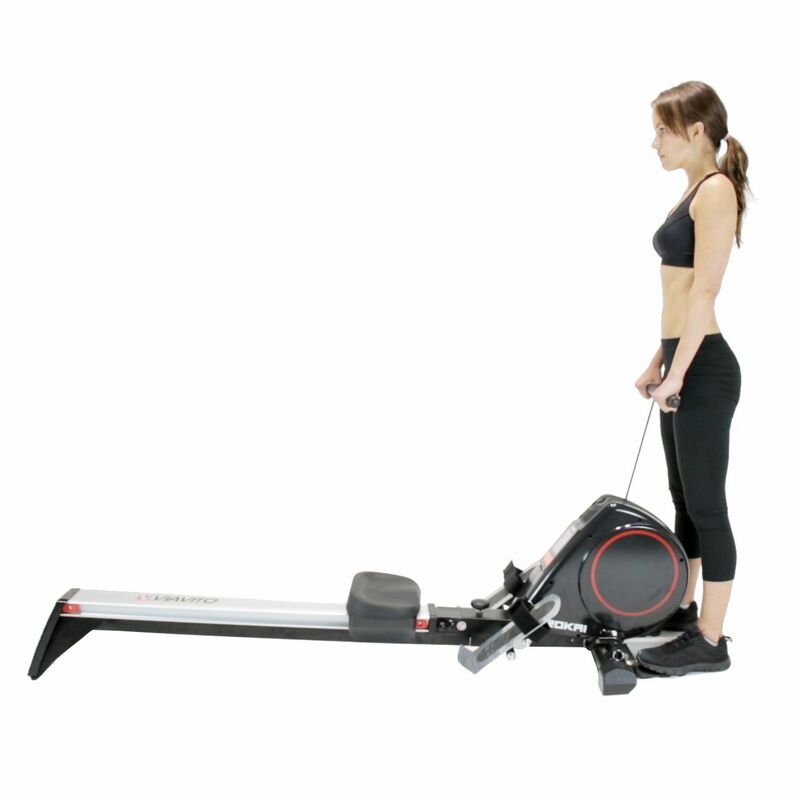 Position of the foot straps is too high for those with smaller feet (size 5 and below) but otherwise a good machine which provides an excellent workout. Straightforward to set up and compact for easy storage when not in use. Lots of settings and varied methods of use to focus on different muscle groups. Would recommend. Machine is very well made, sturdy enough to support my weight, but also flexible enough for the kids to use too. Useful range of resistances too. If I were to suggest anything it would be maybe to add a few steps more to the resistance levels to really push the strongest users. Machine is pretty quiet compared to other rowers I've used. Good range of different programs to mix up the workouts. I really like using this machine and have used it almost daily since getting it. I have a health condition which is helped by doing regular light to moderate excersise. When I can't visit the gym, I know I can do my rowing machine at anytime of the day. The machine's folding ability is great as it can sit in a corner out of the way and easily folds down for use. The programmes are great and you can customise your own programmes. 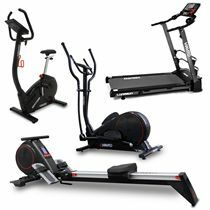 The 16 resistance levels are good, favourably comparable with the gym's professional machines. The only drawback I've found so far, is the footplates. They can be a bit noisy with creaky sounds so I stuff a bit of foam under them. Apart from needing a better design of footplate, this machine is great and we'll worth the cost. It's sturdy and gives a great workout. Good machine, ses good quality, have used it several times with good feedback. Would recommend. 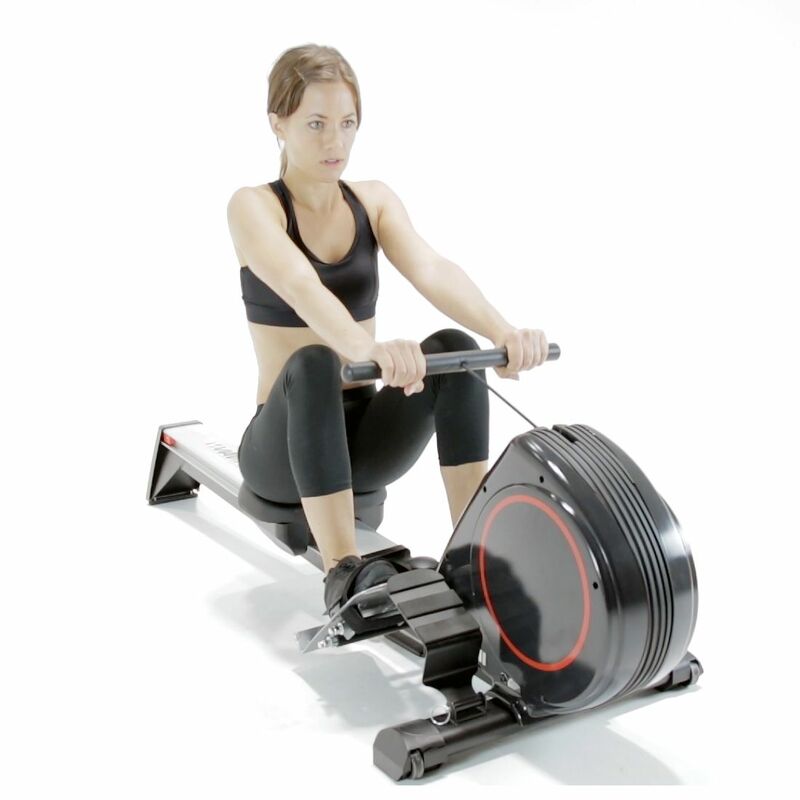 Great programmable rower. 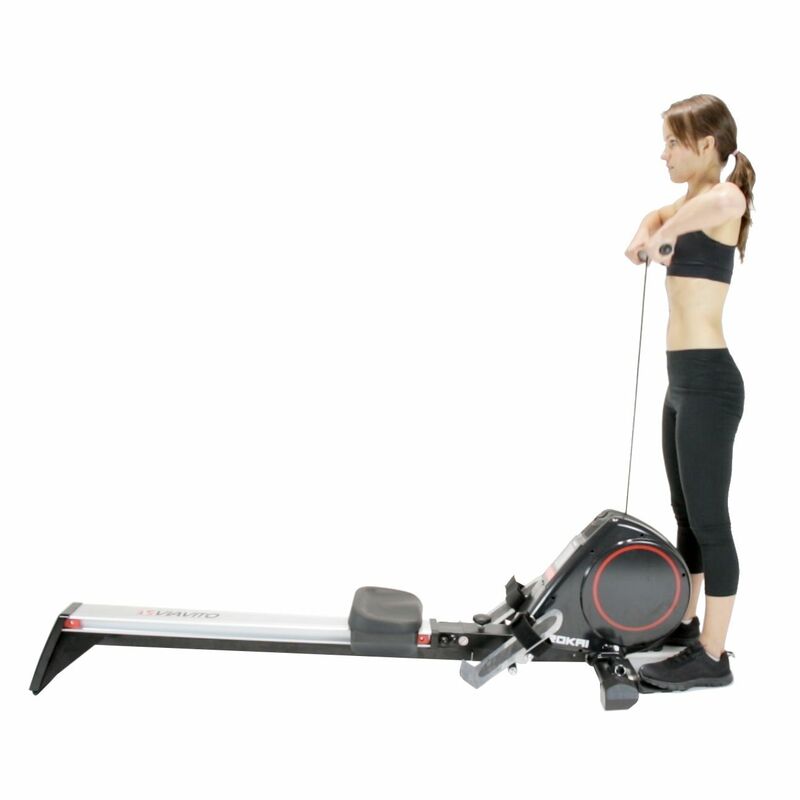 Bought this after a very unreliable Roger Black magnetic rower was unfit for purpose. This isn’t very easy to manouvre to fold away, and a vit cumbersome to add two bolts when set up for use. That said it is great in use. Solid construction and gives a good workout. Straight forward to assemble and easy to store. Meets my demands on rowing but I am a novice. The cost and what it can be used for is ideal for a small budget and space. It’s sturdy for the price. The motion is good and change in tension works for me. 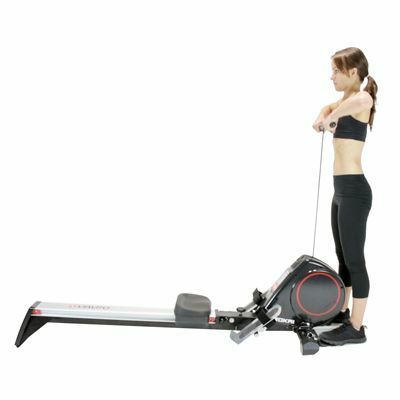 I do t think this would suit someone who is seriously into rowing indoors but is more than ample for a home gym enthusiast. Easily put together. Appears to be well made and does what I expected. Excellent value at the price. The machine it's self is quite good. I'm a 75 year old woman. I must be very strong as I can use it on the highest setting. The only worry I have is the bungee type cord snapping after being used for awhile. As far as putting it together I never would have been able to do it. A friend of mine put it together in about thirty minutes with no problems. All in all I think it is brilliant. A great rowing machine which was very easy to assemble. Good functionality for the price, but the instruction manual appears to have been translated so not great as the buttons on the control panel don't match what is in the manual. 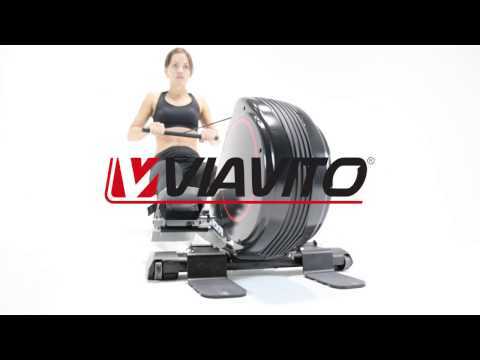 for submitting product review about Viavito Rokai Multi-Function Folding Rowing Machine.